Imagine that everything is going just fine, the usual never-ending YouTube binge-watching on your laptop, getting the laptop loading with innumerable new software and cool games and then suddenly, out of nowhere a warning flashes on the lower bottom corner of your screen. A warning so threatening, a warning so sinister and a warning so irksome that all you can do is just scratch your head with helplessness and count upon the savior internet to deliver the sins that you committed and which are responsible for your sorry state. Today we will be demolishing the issue of Your Windows License will expire soon, or Windows license expired. 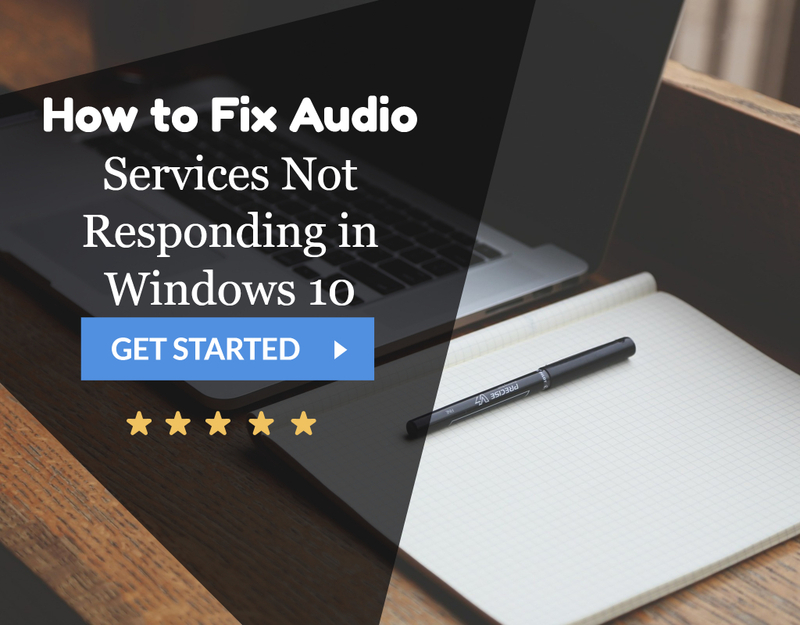 Indeed, it’s a widespread and typical issue related to the Windows operating system and has been affecting a large mass of the users, time and again. But no worries at all because you have come to the most appropriate place, and all your questions will be answered here. What is the reason of this error? Well, although Microsoft has had been successful in the past few years related to the annual launch of their new OS, but some bugs were indeed very pestering. The most important being your windows license expires soon issue. 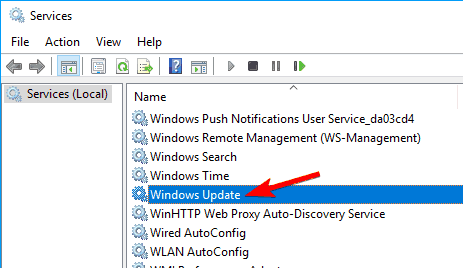 The reason behind this issue of the persistent message of your windows license will expire soon being displayed on your screen is mainly related to the updates being broadcasted to the various users of Windows 7/8.1/10. Most of the updates were meant to be free, but some error arose from the fact that the updates were not intended for a regular OS developmental basis but rather as autonomous system updates. That’s why you need to buy and put in the license key if you wanted to enjoy some of the benefits offered by the future updates of the operating system. Microsoft has been running its wheel continuously to rectify the error, but most users using an older update of the windows get affected as they are unable to update to a higher version and in most cases their computer automatically gets rebooted every hour or two because of this issue, thereby decreasing their working efficiency. So, they get stuck with the constant flashing warning of Your Windows License will expire soon Windows 10. So, without much ado let’s dive into the deep water and demystify the cloud of ambiguity. 1) At First, press Ctrl+ Alt + Del. 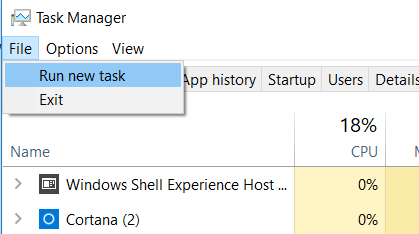 Then click on the Start Task Manager. 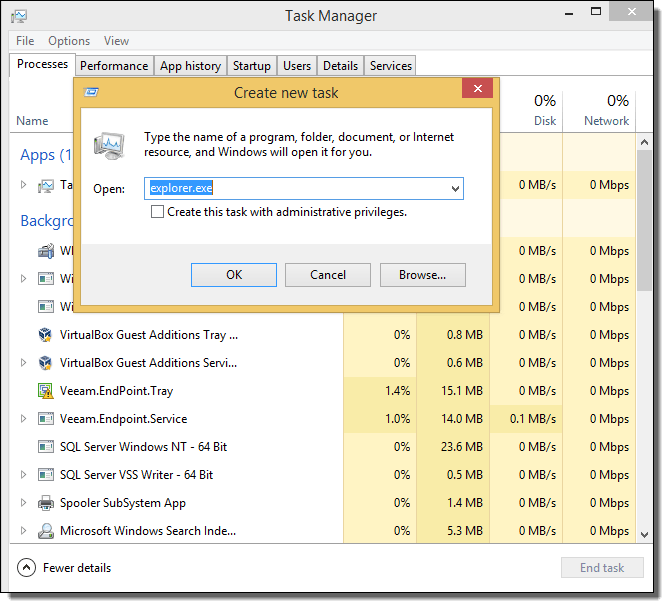 2) Afterwards, the task manager is opened, click on the Processes tab. You will see a large number of processes occupying your RAM. Search for Windows Explorer and right click on it. 3) Then from the drop-down menu that appears click on End Task. 4) Now in the top most bar containing three tabs, namely – File, Options, and View. Click on File. 5) Afterwards, select Run New Task. 6) A dialog box of Create New Task will appear. 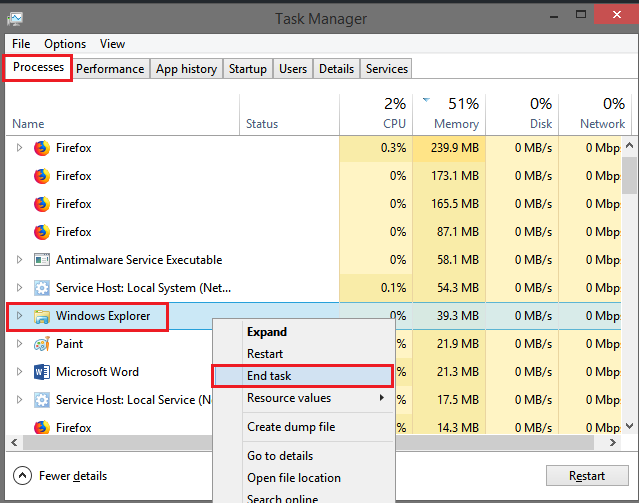 Type “explorer.exe” into the text area provided and click OK.
7) Now you are halfway down to resolving the issue of your windows license will expire soon in Windows 10. 8) Open the Command Prompt. To do the same press Win + X and then click on Command Prompt (Admin). 10) Then press Enter and close the Command Prompt. After that reboot your device. Hopefully, the issue would have been resolved by now, and you might not see the irritating message ever again. 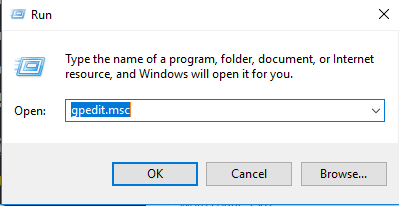 1) At First, open Run by going to Start menu or simply pressing Win + R.
2) Then type “gpedit.msc” and press Enter. 3) You will notice that a dialog box of Local Group Policy Editor will be opened. 4) In the left pane of the dialog box follow the following hierarchy of search: Computer Configuration -> Administrative Templates -> Windows Components -> Windows Update. 5) Afterwards having done the following above things, you will notice a list of Settings on the right side of the pane of the dialog box. 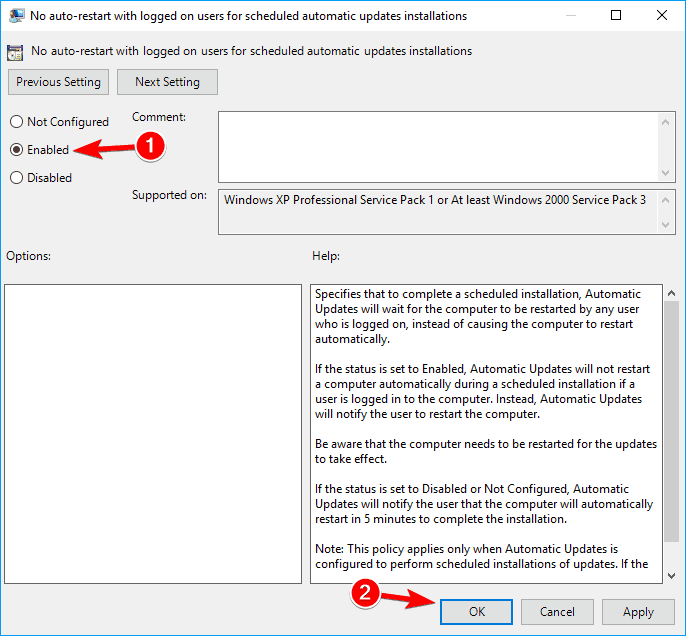 6) Navigate to the setting No auto-restart with logged-on users for scheduled automatic updates installations and double-click on it. 7) Another dialog box will appear. Click on Enabled on the left side of the box and click OK. There has been multiple positive feedback from users regarding the authenticity and the credibility of the above two fixes to the issue of your windows license will expire soon. So, if you are lucky, you might be free from it by following any of the above two steps. 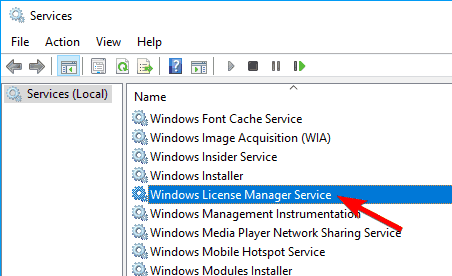 2) After the Services dialog box has been opened find Windows License Manager Service and double-click on it to open its properties. 3) Now the properties windows will be opened. Click on Stop if Service status is Running. 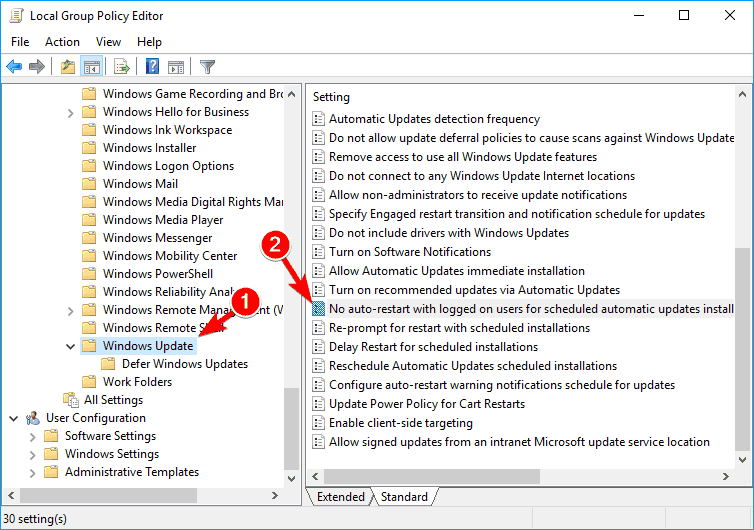 4) After that Select Startup Type as Disabled and click OK.
5) Now back in the Services Dialog box locate Windows Update service and double click on it to open its Properties. 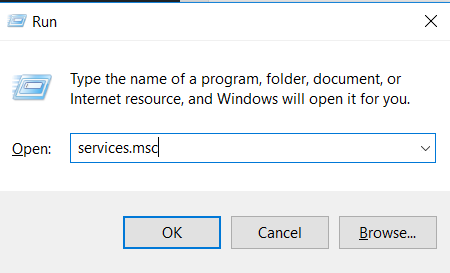 6) Similarly, Stop the service if it is running and set the Startup Type as Disabled and save the changes. Following the above steps might resolve the issue of your windows license will expire soon. 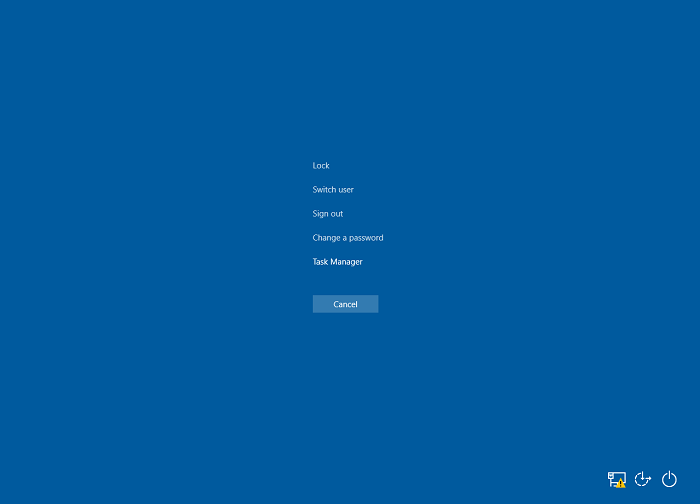 1) Open the Command Prompt in Administrator mode by using the Win+X key. 3) Press Enter. Now you will see your product key in your command prompt. Copy it down in your notepad or note it somewhere. 4) Now open Settings app. Press Win + l for a fast shortcut. 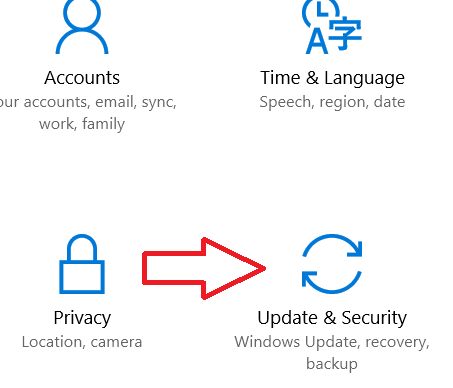 5) When the Settings Box opens, click on Update & Security. 6) Then click on the Activation Tab on the left panel followed by Change product key. 7) Then enter the product key you got in Step 2 & hit Next button. Hence your Windows will get activated, and the message your windows license will expire soon will fade away into oblivion. Now, this step is to be followed if you have a genuine copy of Windows and get the above issue. It’s quite a common and well-used fix. 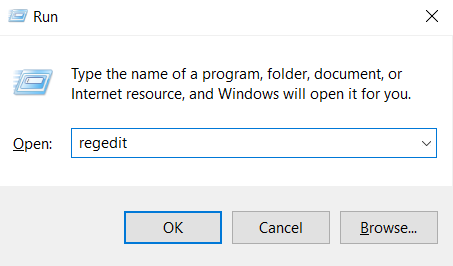 1) Open Run by pressing Win + R and then type “regedit“. 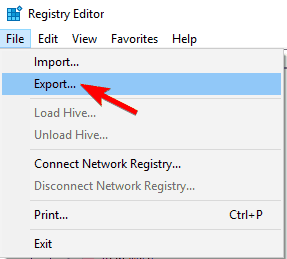 2) When the Registry Editor is open, click on File -> Export. 3) Afterwards, click on All as the Export range and after specifying a proper location click on Save. 4) The above steps have been followed just in case anything untoward happens. If so, run the file you just saved and your registry will be back to its original state. 5) Now, after exporting the registry open the Command Prompt in Admin mode using the Win+X key. 6) Then type in the following command and press Enter. 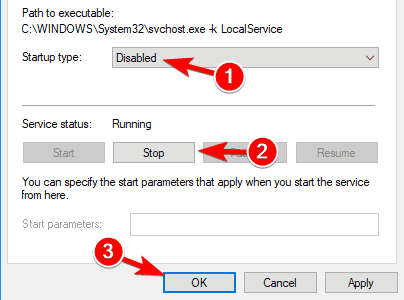 Hence, by the following steps, you can modify your registry and prevent the displaying of the message of your windows will expire soon. 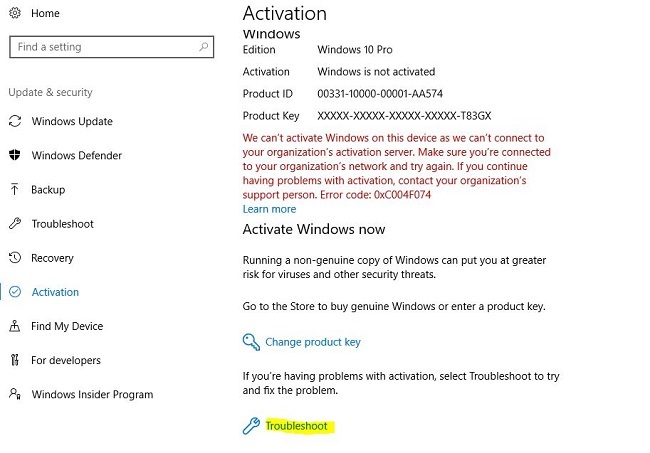 The Activation Troubleshooter method can be applied only if you have Windows 10 Version 1607 or above. Follow the steps mentioned below. 1. Open Start Menu and then search for Setting in the search bar. 2. In that go to Update & Security. 3. 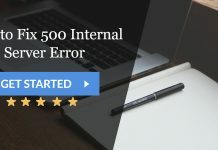 A number of activation errors would be displayed on the window when opened, click on Activation option from the left pane. 4. Thereafter, launch Activation Troubleshoot and you are good to go. The Troubleshooter would do all the necessary checks and detect the problem and fix them too. Once troubleshooting is finished, close the Troubleshooter. These were some of the few methods that you can opt for to obliterate the issue Windows 10 license will expire soon. Hope these methods prove worthy of your time and until next time stay updated and stay ahead. 1 What is the reason of this error? hey can you tell this is just worming or windows will start big issue if we ignore this notices. Some of the features of Windows won’t work properly. I really wanted to continue reading! I will absolutely apply some of the ideas myself, you’re brilliant. When is thhe next post released?